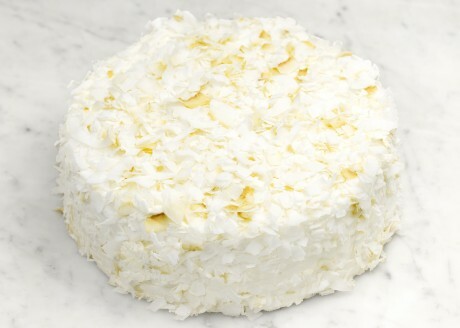 Three-layer cake with crème fraîche pastry cream, coated with vanilla buttercream and decorated with coconut flakes. 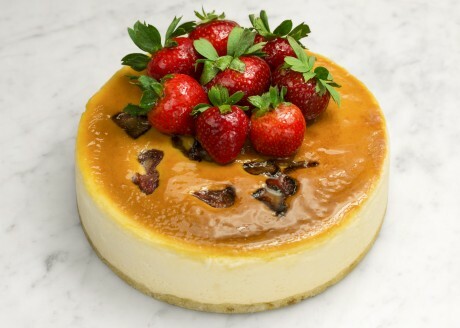 Light and fluffy cheesecake baked with fresh strawberries set atop sponge cake. 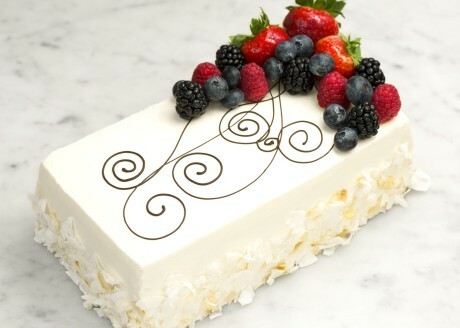 Vanilla génoise with fresh berries, crème fraîche and lemon pastry cream. 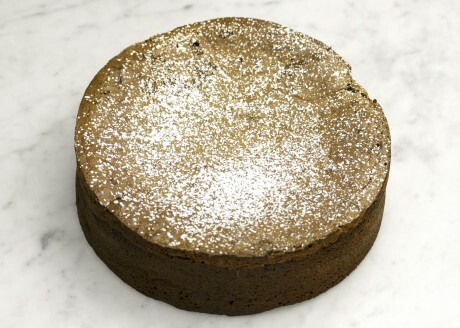 Valrhona bittersweet chocolate almond cake. 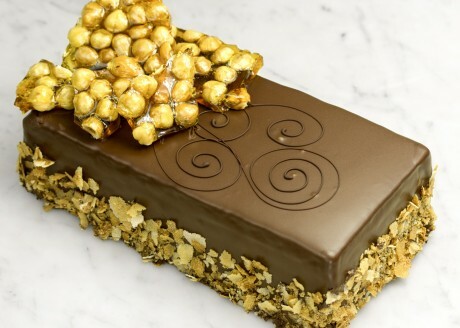 Seven layers of hazelnut cake, chocolate ganache and hazelnut buttercream enrobed in chocolate. 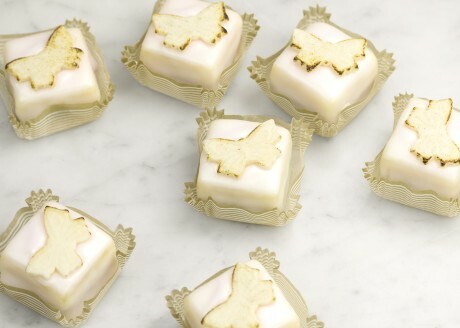 Miniature almond sponge cakes, brushed with Sauternes and filled with raspberry preserves, enrobed in orange fondant.